My obsession with makeup started with my realisation how a simple eyeliner can change your whole look. Eyeliner was the first makeup I tried and now have proudly mastered *wink wink* My go to look is the classic wing eyeliner and after trying a lot eyeliners my favourite drugstore eyeliner is none other than the Maybelline Hypersharp Liner. I would stock up on these babies every times they are on sale. Some times the price can go down to RM 16 ++. Crazy affordable. 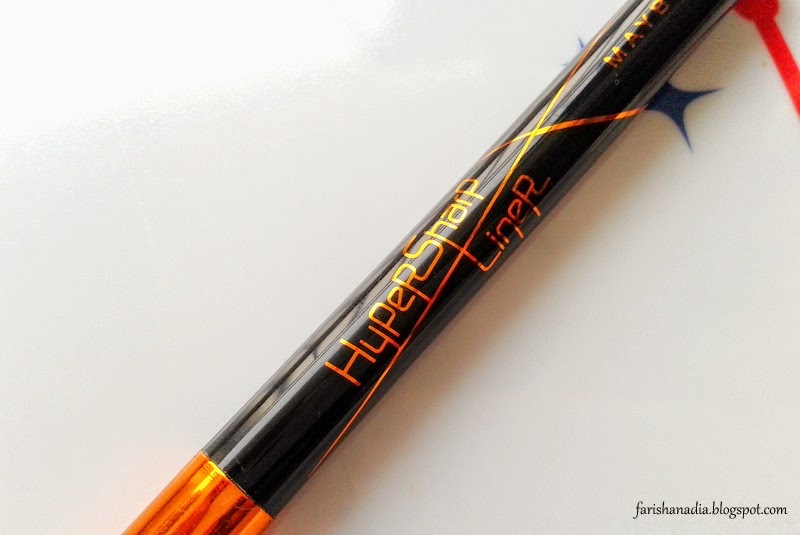 Until recently there were only one colour for the Maybelline Hypersharp Liner Laser Precision which is in Black, but now they have newly launched two new colours, Soft Black and Brown. I was very excited to try one of these colours. Today I'm going to review the one in Brown. Me playing around with the Hypersharp Liner in Brown hehe. 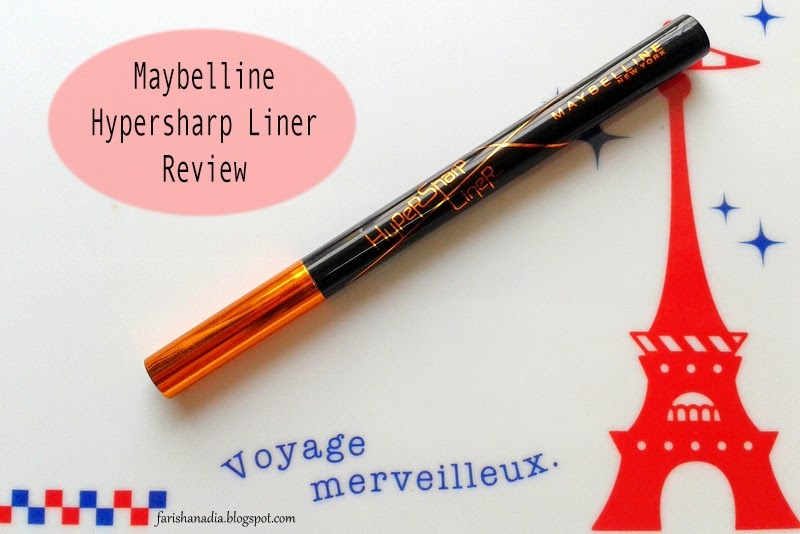 Some of the great features of the new Maybelline Hypersharp Liner Laser Precision is the ultra-fine tip, at only 0.01mm & it is smudge-proof, humidity-proof and wears up to 24 hours. 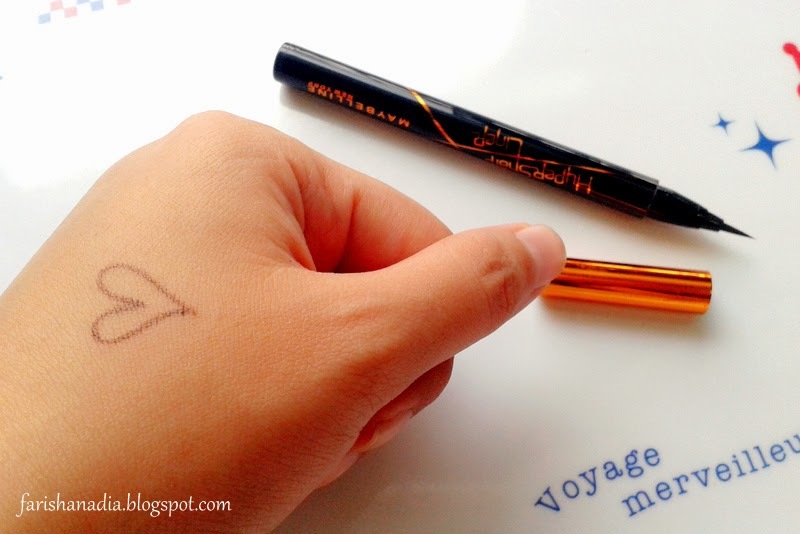 One of the reasons why I love this eyeliner is the ultra-fine tip. It gives the most precise, sharp and crisp wing line. 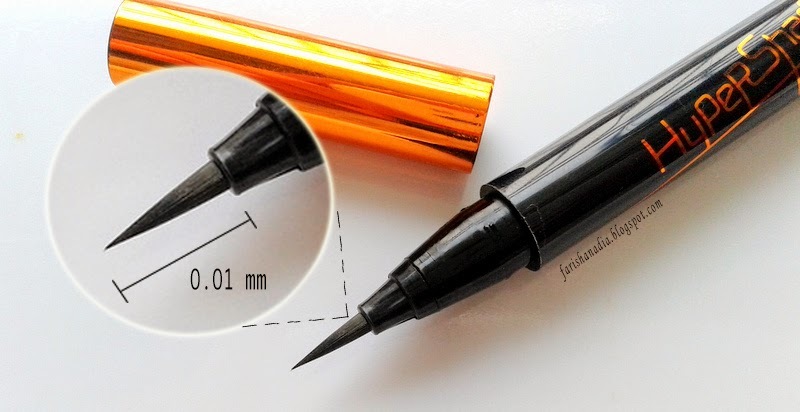 It is also very suitable for any eyeliner art. I always like my eyeliner to be very thin and this helps me achieve that look. The colour Brown really take me by surprise. Personally I would always opt for black because most browns don't suit me so well, mostly because the colour is never opaque enough. But this one shows off its colour very well. In fact under certain lighting, I can't really tell the difference with black. But at the same time it looks more wearable and natural. I fell in love with the first stroke, the first brown liquid liner I really like. Just like the formula with the previous Hypersharp Liner, this one does not bleed and it really is smudge-proof. But if you have oily lids, I suggest you wear an eye primer first because this eyeliner is very easy to remove even with water. As for the 24 hours wear claim I can't really say anything on that because I have never worn makeup that long. Overall, I found my new love. I can't get enough of eyeliners, and I believe I won't get enough of this. This has definitely become my go to everyday natural eyeliner. I highly recommend this to anyone, beginner or pro, you will love this. Have you tried this eyeliner? Let me know! Available at: Watsons, Guardians, all major beauty and pharmacies stores. if i do this under my eye like you do it will be 3D~! Hahaha, i have massive eye bag... anyways your drawing is amazing! that is one fine doodle! Sweetie, have you used Dolly Wink's liquid liner? Is Maybelline's version superior in all ways (it already won the battle price wise LOL)? Nope, I haven't tried it... it's hard for me to part with tried and tested liners (eg the aforementioned Dolly Wink and Kate). Your review has swayed me though haha! @Bijin Blair, Dolly Wink liner is one of my favourites! I actually prefer it better than Maybelline because the tip is longer, which makes it easier to line the inner corners of my eyes. Dolly Wink can also last longer, Maybelline ink will ran out faster than Dolly Wink. I actually have a review of it, you can check it out here! WOW! 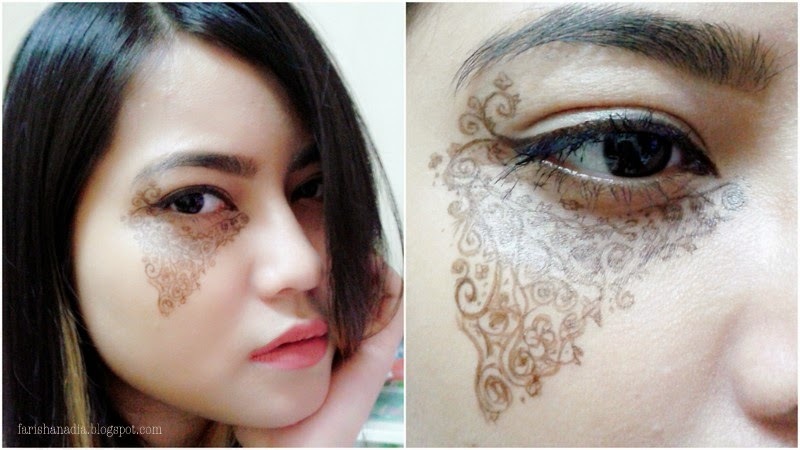 That's amazing stuff drawn on your face!